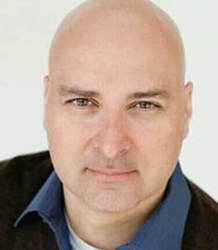 Kevin M. Connolly has been acting and involved in theater, voice over and TV/Film for over twenty-five years. He started with theater in high school, and went on to receive his BA in Theater from the University of the Incarnate Word in San Antonio, Tx., as well studying acting in London, England, and Dublin, Ireland. In 1998 he went to graduate school at UCLA's School of Theater, Film and Television. In 2001 he headed back to Texas where he worked as an actor, technician, light and set designer, carpenter and instructor at the Magik Children's Theatre, the Josephine Theater and the San Antonio Little Theater. In 2004 he moved to Dallas where he continued performing in theater, and discovered the world of voice over and anime. He started with episodic characters in Case Closed, followed by being cast in the fan favorite Fullmetal Alchemist as Kain Fuery. Since then, he has voiced characters for FUNimation, ADV Films, Illumitoon, and Bang Zoom Ent., includuing AM Driver, Baki the Grappler, BECK, Big Windup!, Blue Exorcist, Darker than Black, Hell Girl, One Piece, Rumbling Hearts, Shin Chan, Sword Art Online, and Witchblade, among others. Outside of anime he has done VO work for visual novels, children and adult audio books, commercials, and video games such as World of Warcraft, and voicing Vladimir in the worldwide hit League of Legends. He has also done VO work not only stateside, but also for clients in Ireland, Malaysia and Taiwan. He continues to act in theater, voice over, and film in California.